Email: webpage at drydog dot com. Home: Metropolitan Portland, Oregon, USA. Work I am a software engineer (programmer) specializing in computer security and cryptography. I work at Intel Corporation on Hyperledger Sawtooth blockchain software (here's a FAQ I wrote). Previously, I worked for ~20 years for Sun Microsystems (acquired by Oracle) on the Solaris operating system. I worked in the Security Technologies group on Verified Boot/Secure Boot and Cryptography. I have BS and MS degrees in Computer Science from University of California Irvine and San Diego. Play My passion is cross-country skiing. I enjoy the sport in several forms—ski touring on roads and trails, locally, telemark skiing in isolated backcountry ski bowls and at downhill ski resorts. 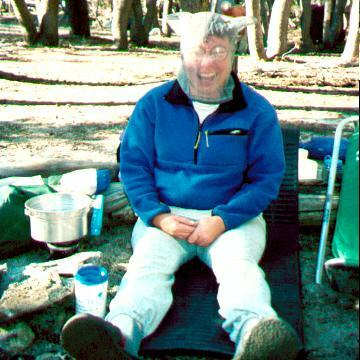 and snow camping in the Sierra backcountry in the spring. 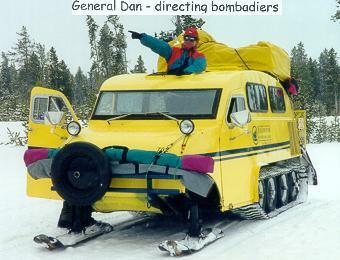 I wrote a guidebook on cross-country skiing called Ski Tours in Southern California. 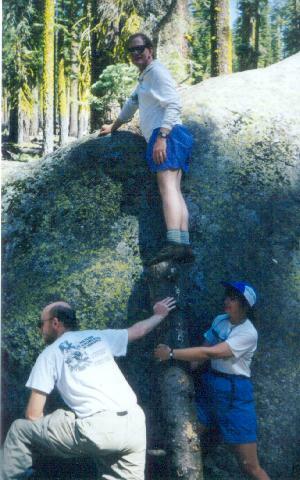 I've been an active Sierra Club member since 1974. 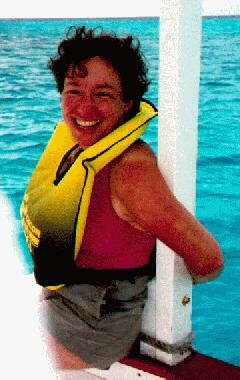 Here's a picture of my wife, friend, and sweetie :-), Helen. Here's her web page and her picture. 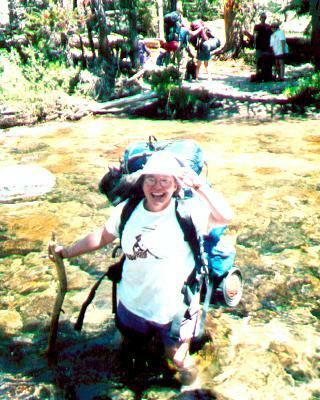 Here she is backpacking in Yosemite, crossing an ice-cold stream and with mosquitoes swarming around her. Talk about fun! 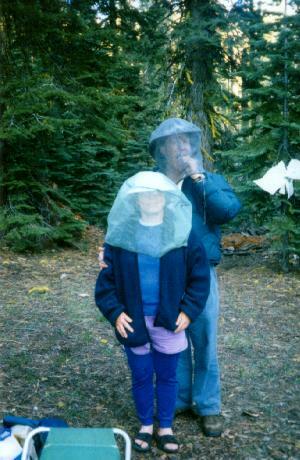 Here we are with mosquito nets and here I am storing food on a rock. Helen's niece, Emily lives in Washington State. Our dog is Fannie Mae, a golden retriever (2008-). Our previous dogs were Holly (1987-2001), and Patsy Ann (2001-2006), also goldens. Speaking of dogs, here's what do do if your dog or pet gets skunked. I have a page on Pumpkin Recipes (Pumpkin Pie, Pumpkin bread, . . .). Here's what to do if your pet (dog, cat) was sprayed by a skunk. My brother Dave died 2008. My sister Teresa has a toy poodle puppy, Torrey. My dad's web page (genealogy), Shiloh the cat. The 6bone (HollyNet), was an early experimental implementation of the next-generation Internet protocol, IPv6. Java: method GetServiceByName.java emulate's the BSD socket function s getservbyname(). Hat size: 7 1/8 (57 metric). Shirt: 17.5 34-35 L, 36 metric, Large T-shirt. Shoes: 9.5 W (42 metric). Lunch preference: P.B. and J. Dinner preference: Italian, Greek (Mediterranean/Middle East), and Mexican. Beverage preference: Iced tea (semi-sweet). If you have questions or comments, please send a message to Dan. Last updated 20 April 2019.